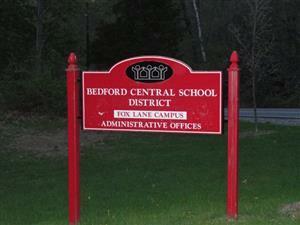 Earlier today, Friday, April 12, Bedford Central School District Superintendent Dr. Christohper Manno notified parents and the school community of an incident involving a student that occurred at a bus stop in Pound Ridge. "The police investigation has concluded and there is no threat to our community or students. Please be assured that our students are safe. We are appreciative of the partnership and the swift response of the Pound Ridge, Westchester County, and the NY State Police Departments," he said. If you have any questions regarding the situation, please contact the Pound Ridge Police at 914-764-4206.